Our bespoke school book bags and pencil cases are branded with your logo and values helping underline the ethos of your school. With a branded book bag and/or pencil case your students will look smarter, we also believe a little help with organisation adds to learning outcomes too. Our book bags and pencil cases are bespoke. 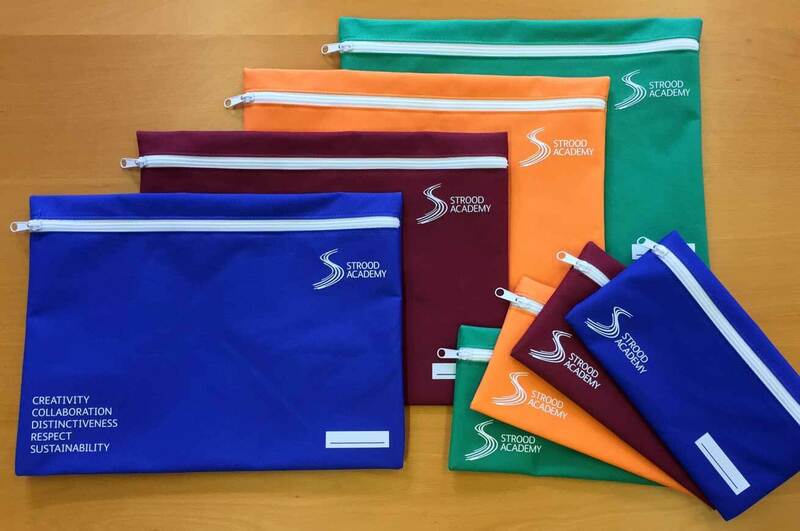 We manufacture in different sizes and colours to suit your school or academy – and we’ll add features like handles, straps or name tags if you need them. We know school budgets are tight. Which is why our manufacturing partner in China helps us keep costs down and supply great value products. We can’t however put a value on helping students be organised and look smarter. Read about how we work with schools and trusts – HERE. Please complete the form below to get in touch and we'll get straight back to you. I am happy to receive future marketing communications from Rye Design.